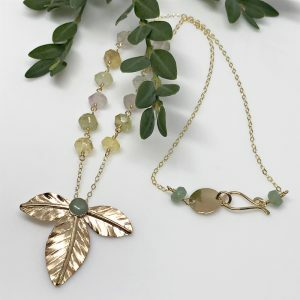 Gold solitaire leaf pendant necklace. 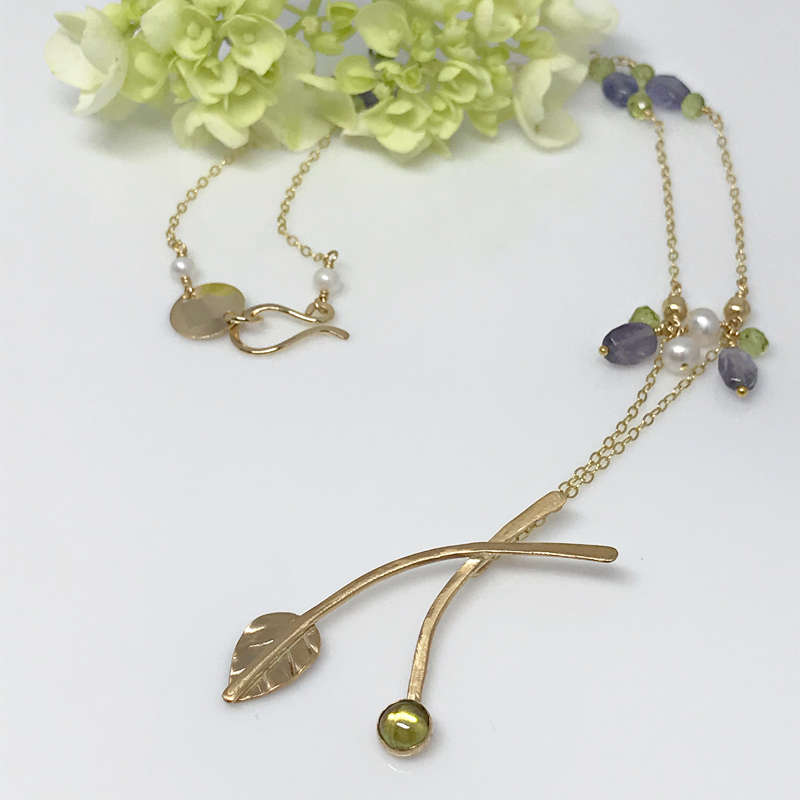 A solitary woodland leaf gently drops from a delicate stem while a lush gemstone “berry” hangs from a second stem. Together, they create a wonderful and distinctive gold pendant. You can choose between an elegantly hued citrine gemstone, a gray pearl or a luxurious peridot “berry”. 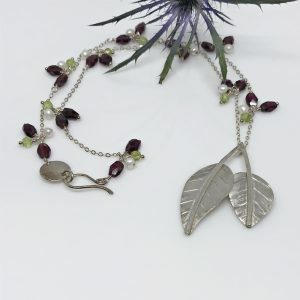 If you prefer rubies, my collection also offers a single silver leaf with a ruby “berry”. The chain on that necklace is marvelous figure eight design. The dainty gold leaves on all options are etched in a way that it resemble a leaf’s veins while the brushed finish mirrors its subtle texture. 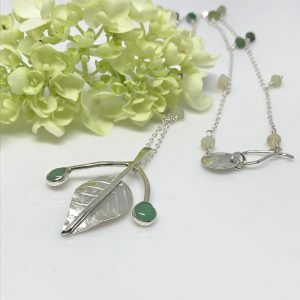 Both the leaf and clasp were hand crafted from gold filled metal. Petite freshwater pearls adorn the delicate chain at the clasp. The overall length is 27.5 inches. If you prefer the luster of gold, this is definitely the choice for you. 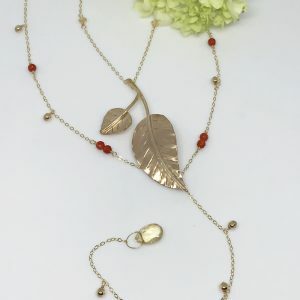 A gorgeous necklace enhanced with gemstone clusters every inch and a half. Not only are the iolite stones translucent but they’re coloring is a soft grayish purple. Complimenting the iolites are petite peridot gemstones and freshwater pearls.